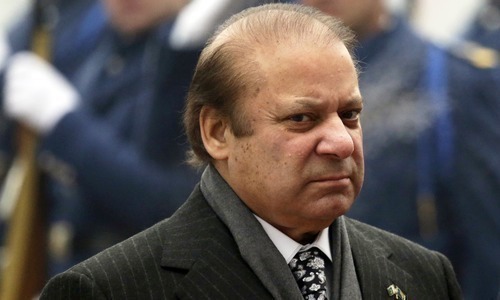 The Ministry of Interior has refused to place the names of five Sharif family members on the Exit Control List (ECL), sources within the National Accountability Bureau told DawnNewsTV on Friday. NAB and the ministry have been at loggerheads over the issue of putting names of the Sharif family members — including of ousted premier Nawaz Sharif — on the ECL for a while, said a well-placed source. The anti-corruption watchdog had requested the interior ministry to place the names of Nawaz Sharif; his sons Hassan Nawaz and Hussain Nawaz; daughter Maryam Nawaz; and son-in-law retired Capt Mohammad Safdar on the ECL. 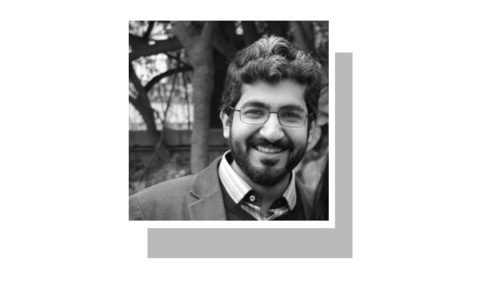 The request was made over the suspicion that the Sharifs — all of whom are facing corruption cases in the accountability courts — may attempt to leave the country ahead of the trials' conclusions. The ministry is supposed to put the names of suspects issued by NAB on the ECL, the source said, adding that those at the helm of affairs at the ministry have refused to cooperate when it comes to barring the Sharifs from travelling abroad. The ministry has reportedly been refusing to entertain NAB’s request on the grounds that it would place the Sharif family members’ names on the ECL only on a court’s order. The NAB officials, on the other hand, have termed this argument a "delaying tactic". According to the source, the interior ministry in the past had never refused NAB’s requests to place the names of suspects on the ECL. 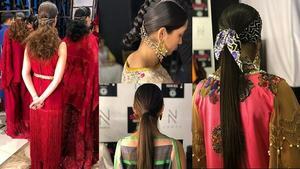 Now, however, the ministry has decided to take the federal cabinet on board with regards to the issue, the source added. Currently, a four-member committee headed by an additional secretary of the ministry places or deletes names from the ECL on the recommendations of courts, tribunals and agencies. The ministry, however, has decided to strip the committee of its powers to regulate the ECL, another source told DawnNewsTV. A new summary has been devised in this regard, the source said, adding that if passed, only the interior minister or secretary would have the powers to insert or delete names from the list. The summary has yet to be sent to the federal cabinet. On Friday, the issue also echoed in the Punjab Assembly when Mian Mehmoodur Rasheed, the leader of the opposition in the assembly, reiterated the demand to put names of the Sharif family members on the ECL. He accused Interior Minister Ahsan Iqbal of showing reluctance to place the names on the ECL. The speaker, however, refrained the opposition leader from speaking on the issue. DawnNewsTV has approached the interior ministry for a comment on the issue and is awaiting a response. SC should give direct orders to put the name of corrupt Sharif family on ECL. Only interim government can place NS on ECL. What a mockery of law by these so called democrats. One law for poor and other for powerful and rich. Interior minister Ahsan Iqbal should be arrested for blatantly flaunting the law of the land. Well, if between time NS family leave Pakistan then SC should put Ahsan Iqbal in jail until NS returns. PML-N is misusing democracy knowingly that NS and his family are criminals. NAB should not be reporting to the ministry. What is the point in having a department like NAB under the corrupt politicians?. I can see a clear conflict of interest. MOI taking action against Musharraf by suspending his nic, passport, but not placing Nawaz on ECL. Sounds like MOI is compromised. I vote for the Supreme Court to settle the issue once for all. This will set an example when the political party in power with absolute majority puts travel restrictions on its own founder and his family pending corruption investigation. If this is achieve then any political party or figure will think many times before committing corruption. The question is why NAB has been & is still waiting to go to the Supreme Court to get orders to put NS family on ECL. Not only the interior ministry is reluctant, but the NAB too doesn’t seem to be very keen in doing what needs to be done. Clear evidence that ministers of PML-N government are loyal to individuals and not to the State. This government is trying to take the country into civil war as they are not interested in saving the country but are loyal to their puppet-masters to save their looted wealth. If Ishaq Dar was facilitated to run from the country and then to add insult to injury he gets elected as a Senator ....... it's not strange that the Interior Minister is refusing to put the Sharif's on the ECL. Any Syurprise? The Interior Minister belongs to the same party. Why would he place names of his boos and his family on ECL? THe SCP should direct the Minister of Interior to execute its instructions or be held in contempt of court. @iffi which law are you talking about? An absconded can contest the senate seat. PTI should highlight this to the nation how ministers are protecting sharif family. @Ahsan Gul "Well, if between time NS family leave Pakistan then SC should put Ahsan Iqbal in jail until NS returns." That will not be something that NS would like to avoid. He's not going anywhere, in any case. He doesn't have any choice. u are not fooling anyone..
Are these the problems of common man or are these the cause of them? Higher court 100% right and put dot on London flat, NS both sons and Dar not appearing in law of court, there NS and Mariyam name should be put in ECL, otherwise these wll runaway and never return bcs they have sufficient wealth in UK. SC should order interior ministry for ECL. SC should have putNS family and others on ECL long time ago,but then again its NS who makes and breaks the rules. In this case, people of Pakistan want intervention of the Supreme Court. The entire Sharif clan should be put behind the bars. It looks like NS and his family are all above the law. Its the ordinary citizens who have to follow the law of the land. In foreign countries even the PM is accountable abd abides to the law. Shave on our system. 'The ministry ... would place the Sharif family members' names on ECL only on a court's order'. Has this ministry placed anybody's name on ECC at the request of NAB Accountability Court ever before? If the answer is yes, then why not this time? Is the NAB Accountability Court not a Court of Law of the State of Pakistan? Some seriously unlawful and lame excuse is being concocted up by the interior ministry to drag its feet in this particular case. Those in ministry must not commit disserve the State by intentionally delaying this Court's request and place the named individuals' names on ECL for the sake of their own loyalty to the State and the oath of office they had undertaken and hold. 6 months gone and still no proof of pmln nawaz sharif corruption. I thought jit had this under control? All scripted drama by PML-N. Nothing will happen. In Pakistan some are more equal.. Yet another prime example of so-called democracy at work. If one does not like a law, rule or regulation, just change it arbitrarily. Apex court should give directives to interior minister to place Sherif's family memebers names on ECL. This interior minister works n get pai by Pakistan tax payer of N.S? Is he minister of interior of N.S. State or State of Pakistan? First, he should be arrested by refusing to do his legal job; secondly, all salaries n facilities he enjoyed so far on tax payer money must be collected in cash; thirdly, he must be bared for life taking part in any polotical activites, offices etc; lastly, send to jail for maximum jail term. This is the dilemma of Pakistani nation if common man ha some corruption charges, he would be arrested and his name would be placed on ECL. But for powerful politicians, no law is applicable. @ Syed Zafar Kazmi U.S.A Sir because it is a procedure, you don't just pick every thing and put it on supreme court's door. NAB is going to supreme court now because Ministry of Interior is not following the law. These are empty threats trying to get him to leave the country. He won't leave, put him on the ECL or whatever other list. NAB is independent and the Interior Minister is from PMLN and he's not doing his job, under these circumstances Supreme Judiciary has the authority to intervene and give direct orders to arrest the Interior Minister. Just imagine if Pakistan can only bring half of the looted 900 billion let alone all of it?? How much that can play into providing basic daily needs such as electricity?? @ Syed Zafar Kazmi U.S.A . In case NAB approaches the SC than a precedent is set; this means in future others will use this a comparative. Anything and everything is possible here because no one likes to have the supremacy of law. Look at traffic rules violations at wider scales. Look at the sale of PSL tickets. Look at the fake medicine supply. Look at the doctors in a government hospital. The list is endless.. The current Government is not government of Pakistan. Please remember that it is government of Nawaz Sharif for his family and friends. Should there be equal enforced of laws, then Maryam Nawaz should be tried under the Blasphemy law for her public statements which poor, uneducated citizens have been dealing with for decades. This group of thieves called government of Pakistan will make sure Nawaz and co leaves the country like Ishaq Dar and that will be it. This illusion and dillusion that any real justice will be done in a timely manner is exactly what it is - an illusion and delusion. I support the interior minister for not putting Nawaz Sharif on ECL. NS is an honest man, he has nothing to hide and there is no reason to put such an exemplary citizen on ECL. The average citizen in our country is corrupt, but Alhamdullilah we have been blessed with such noble ministers and leaders. Please treat the Sharif family with utmost respect, they are very honerable people. If you want Pakistan to survive , then stop those involved in corruption , save Pakistan from the corrupt leaders. Still powerful. Some people owe him. Simply, double standards for Nawaz Sharif and his family. This is disgraceful and not acceptable! The Supreme Court should take sue motto and direct interior ministry to put the names on ECL. SC shall give directives to put the names of all generals and Imran Khan, PPP chairman and co-chairman and all x, yx, z on the list. And do not forget to direct government to write to UAE to bring the absconder Musharraf back to Pakistan for a summary trial and caged behind bars for good. Why is N league minister reluctant to comply with the NAB orders when he is dead sure that his boss is innocent. So in the eyes of the government, all citizens of Pakistan are NOT equal and members of selected families are more equal than the commoners. In Pakistan, Democracy = Govt. of the party, by the party, for the party. put them on ECL - NOW!! Interior Minister Ahsan Iqbal should be arrested and thrown in jail for defying the court and NAB. When are they going to stop treating Nawaz Sharif as VVIP? Already over 1000 police are stationed at Jatti Umra to provide security which as ex-PM he is not entitled to. Why should exchequer pay for it? He should arrange & pay for his security. Mr. Nawaz Sharif and others have been allegedly involved in financial irregularities while holding public office. There is an apprehension that they will.procrastinate or attempt to procrastinate inquiry proceedngs unnecessarily hence putting their name(s) on ESL is exremely warranted. 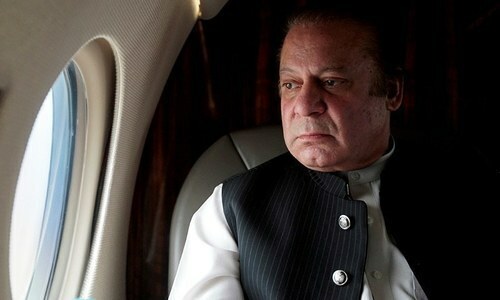 PML-N government, the laws they apply to others are not alowed to be applied on them, Nawaz Sharif has always considered himself, his family and his cotree of villians beyond accountabiltiy and beyond the ambit and scope of law, that is why he is yelling like a man afflicted by insanity. He will go to jail, or he will destroy the country wit his lust for loot, render it iredeemably bankrupt, destitute and beyond rescue. The apex court may issue writ to the interior ministry for doing the needful. Interior Minister should be held for contempt f court if he does not put Sharif family's nae o the E C L. Ahsan Iqbal is favoring his own party Ex Chief & disqualified Premier against the law. Doesn't NAB have the power to arrest the minister for non compliance of its orders. Agree with Skyhawk. SC should give orders to place the Shareef family on ECL. If this not done they all will abscond before NAB's conclusion of their corruption cases. NAB should request SC to order Interior Ministry to put them on ECL. it's called, buying influence, there are no "odds", someone is getting paid a lot to say no to ECL list. are we going to pretend it is some procedural issue? This Sharif family corruption is a national issue and should be dealt with accordingly instead of leaving it the whims of ministry that serves the interests of the corrupt. Now we know why Ch. Nisar is no more the interior minister.